Americans struggle with heart health. Statistics prove it. Many professionals agree that the best approach to maintaining heart health is a holistic one. Quality nutritional supplements combined with diet, activity and stress management can greatly improve how the body addresses cholesterol, blood sugar and energy, all of which can critically impact overall heart health. FACTS: 1 in every 4 deaths in the United States is caused by heart disease every year! When it comes to protecting your heart one of the best antioxidants is Co-Q10. It reduces blood pressure, aids recovery from heart attacks, keeps LDL cholesterol from oxidizing and improves energy production in the heart muscle. Statin drugs deplete Q-10, so this supplement should always be taken by people using statin drugs to lower cholesterol. Recommended Use: Take 1 softgel with a meal, twice daily for circulatory support. Other options include Thai-Go, Super ORAC or Super Antioxidants and IF Relief. What has blown the whole high fat equals heart disease myth is the discovery of cultures (such as Mediterranean and Eskimo) that have both high fat diets and low incidence of heart disease. Part of the secret is an essential fatty acid called Omega-3, an essential fatty acid in short supply in most western diets. Taking omega-3 fatty acids actually reduces the risk of heart disease. Use other good fats. Butter from organically raised, grass-fed cows is a very healthy fat. So is organic, virgin coconut Oil. For a particularly healthy spread, try blending one pound of softened butter with 1 cup of flax seed oil to make a tasty and nutritious soft spread butter. The flax seed oil will add additional Omega-3s. Recommended Use: Take 1 softgel with a meal three times daily. There is a high correlation between inflammation of the gums and the risk of dying of a heart attack. If your gums are inflamed, so are your arteries. These problems are reflections of sluggish circulation and poor blood vessel tone. There are numerous herbs and nutritional supplements that can help to both prevent and reverse heart disease. We cannot cover them all, but here are a few of the most important ones besides Co-Q10 and Omega 3 (which we have already discussed above and in this article). ALWAYS DISCUSS YOUR NATURAL APPROACH WITH YOUR MEDICAL DOCTOR. L-Carnitine for Heart Energy, weight loss. This important amino acid, found primarily in red meat, transports fatty acids to be metabolized for energy in the mitochondria. L-Carnitine is part of every muscle cell. It draws fatty acid molecules into the mitochondria where they are burned to produce energy. In doing so, the level of blood triglycerides are reduced. A deficiency of L-Carnitine can result in the buildup of fat in muscles, heart and liver. A deficiency can occur from crash dieting or when too much fat is consumed. Also a weak digestive system, certain prescription drugs and fatigue can interfere with liver production of L-Carnitine. Recommended Use: Take 1 to 3 capsules daily with a meal. A critical mineral for heart health. Magnesium helps the heart and blood vessels to relax properly, which reduces stress on the heart, helps protect the heart against spasms and helps lower blood pressure. More than 300 enzymes require the presence of Magnesium. Seventy percent is found in the bones, and the rest mainly in the soft tissues and blood. There is more magnesium than calcium in muscle tissue. The brain also has twice as much as any other tissue. Magnesium is necessary for the metabolism of vitamin C, phosphorus, potassium and sodium. It is important to the nervous system and the synthesis of certain proteins. It governs how calcium is used in the body. Magnesium is also essential for energy production in the heart. This blend contains nutrients that help to metabolize homocysteine and acts as an antioxidant to protect the heart. 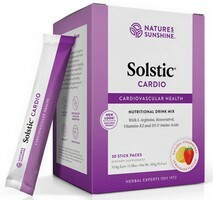 Cardio Assurance promotes a regular heartbeat and offers potent antioxidant effects. Isoflavonoids in Cardio Assurance may help improve artery elasticity, reducing the risk of cardiovascular diseases. It can help maintain normal cholesterol and inhibit the formation of clots in the circulatory system. Use it as a preventative supplement to strengthen and support the heart. Recommended Use: Take one capsule with a meal three times daily. Mega-Chel to Remove Arterial Plaque - Key Product for the circulatory system. This powerful oral chelation product can be used to help reverse arterial plaque buildup and improve circulation to the heart, brain and peripheral areas of the body. Mega-Chel is a key NSP product for the circulatory system. It contains a large array of nutrients to support the entire circulatory system-arteries, veins, capillaries-and the tissues and organs they service. It can also be used in place of a daily multi-vitamin and mineral for people who wish to maintain healthy circulation. Recommended Use: See the instructions on how to do the oral chelation program in this details page. This combination contain L-Arginine, which stimulates the production of nitric oxide, the substance that dilates the blood vessels to reduce blood pressure. It also support the health of the arterial walls to inhibit plaque formation. Recommended Use: Empty contents of one Solstic Cardio packet into 8-10 oz. of cold water, shake and enjoy. Take one packet daily. HS II is a basic herbal remedy for the heart. It reduces inflammation and helps normalize blood pressure. The combination is a corrective for a wide range of circulation complaints including both high and low blood pressure. It is especially helpful for those who are weak and debilitated. This could include angina, arrhythmias, edema, arteriosclerosis and even those weakened by anorexia. Ginkgo enhances peripheral circulation and improves blood flow to the brain. It also helps prevent blood clots from forming. General strengthening for effects of aging. Ginkgo has been used by Chinese for centuries to build vitality and alertness. Hawthorn berries build the heart and improve vascular and coronary blood flow. Support healthy cholesterol levels and cardiovascular function. This unique and powerful herbal formula helps to modulate cholesterol oxidation and maintain healthy cholesterol levels. Recommended Use: Take 2 capsules with your evening meal. Cardiovascular disease is still the leading cause of death in western civilization. One out of two people die from it. So, it makes sense to do what we can to reduce our risk of becoming one of the "one in two" statistics. Unfortunately, much of the information in the popular media about reducing one's risk of heart disease is based on outdated research. For instance, most people believe that high cholesterol causes heart disease and that the lower your cholesterol level, the less risk you have of dying of heart disease. This simply isn't true. More recent research shows that chronic inflammation (not cholesterol) is the cause of heart disease and that having your cholesterol get too low is more dangerous to your health than having high cholesterol. Most people also believe that fats cause heart disease and that low fat diets will prevent heart disease. This is partially true because the wrong kinds of fats (such as margarine and partially hydrogenated vegetable oils) do contribute to the development of heart disease. However, it is also true that good fats (such as olive oil, omega-3 essential fatty acids and the medium chain saturated fats found in organic butter from grass fed cows) actually protect your heart and reduce your risk of heart disease. Foods marketed as "fat free" or "low fat" often contain high amounts of refined sugars that increase inflammation and heart disease risk. Furthermore, eating refined carbohydrates is far worse for your heart than eating fats. This is because Sugar, white flour and other products spike insulin levels. High insulin levels are a bigger risk factor for heart disease than high cholesterol or high triglycerides. So, if this information comes as a surprise to you, it's time to update your knowledge a little by reading this article. But first, let's look at some tools for evaluating your risk of heart disease. Most people feel that heart disease strikes without warning, but the truth is that there are many subtle clues that demonstrate the heart needs help long before a person has a heart attack. Besides high blood pressure and high cholesterol, here are some things to consider. If you know an iridologist or are familiar with iridology, markings in the heart area of the iris, having a spleen heart transversal and/or having a lipemic diathesis (lipid ring) are all indicators of a genetic tendency to heart disease. Besides cholesterol and triglycerides, consider tests for homocysteine, fibrinogen, C-reactive protein, hemoglobin AIC Lp(a) and ferritin (iron) checked. These tests can be more revealing of heart disease risk. If you are concerned about your heart and circulation, consider getting these blood tests done. If you show signs of needing help with your heart, take action now. Don't be one of the statistics. Alter your lifestyle and start using some of the many supplements that can keep your heart healthy. And.. If your colon is not working properly (at least one bowel movement/day) then it is wise to start this program with a 15 days cleanse such as Tiao He Cleanse as well as the Ionic Minerals or the Mineral Chi below.